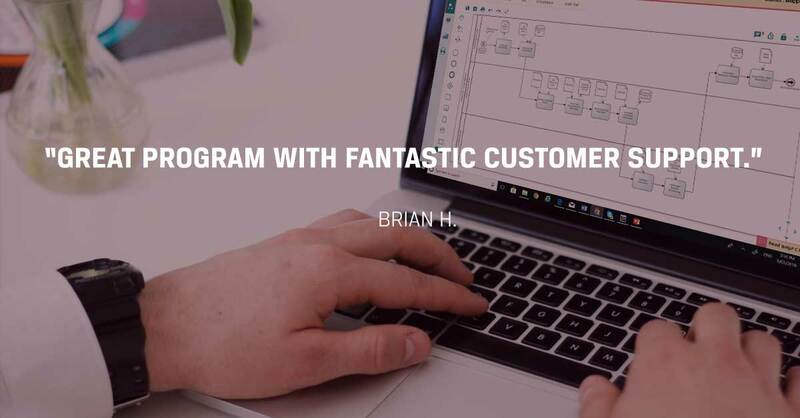 PRIME BPM is a cloud-based Business Process Management software designed for both the business user and business process expert. 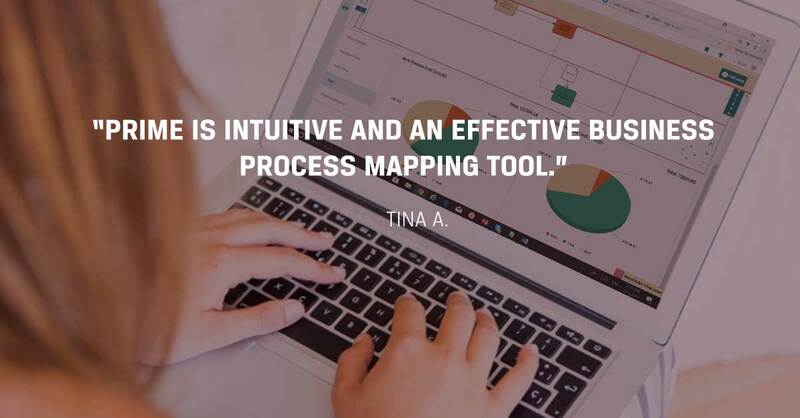 With its intuitive and user-friendly interface, you can easily and accurately map, analyze, improve and monitor your business process. PRIME BPM enables staff to perform their day-to-day activities as per the organisation’s goals. PRIME BPM enables this by providing the who, what, when and how of process information. 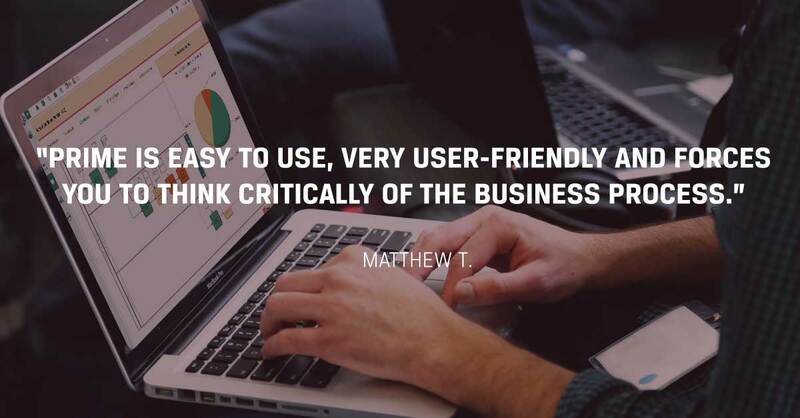 It does this by making business process information and the supporting procedures centrally available, with access from anywhere and anytime. The one source of process truth to drive towards the organisation’s common goal. The PRIME BPM software features the ability to create process libraries from scratch. Alternatively, use the in-built best practice process libraries as a blueprint. From within your process library, easily identify which processes need urgent attention by using PRIME BPM’s process prioritisation feature. It highlights the processes that require urgent attention. Automatically monitor your processes by establishing Key Performance Indicators (KPI) for your processes. Using these KPI’s, PRIME BPM monitors your process performance real time, sending alters to the process owner if there is underperformance. ..
You may have a great change idea, ranging from a small system change request, to reorganizing a flow of work, or even creating some templates for all to use. You are sure it is going to yield great benefits for the business and you are ready to make it happen. But how challenging will the change management process be? The problem is, for the change management process to be a success; your coworkers and management need to support the idea. In addition, they must also be willing to change their habits. Hence correctly so, you have identified the change maybe small, but to transition a group of people, is BIG. Identifying a methodology that outlines the change management process is relatively easy. There are many available – however, actually managing the change in practice will present more challenges unless you are supported by a strong set of tools and guidelines. Transitioning 100 or 1000 people is easy with PRIME – it is built on the ADKAR change methodology. PRIME has transitioned hundreds of businesses to date. According to ADKAR, the first step of Change Management process is being aware of what is working and what is not working in your organization. Process monitoring is a critical aspect of business process management. The methodology of BPM enables you to map, analyse, improve and monitor your business processes. However, it is dependent on the Analysts’ skills within the analysis phase, how well the Analyst can analyse the business process. This is a risk factor you definitely want to close out. PRIME makes process monitoring much straight forward by automating the analysis and measurement process. 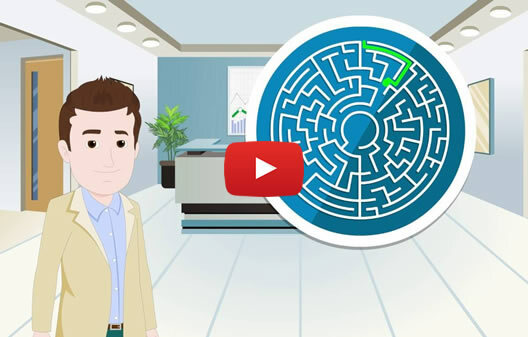 With a multidimensional analytical engine that actually analyses processes and measures process performance, PRIME make process monitoring a breeze. Through value analysis, PRIME shows you if the current process is adding value to the customer or is it adding value to the business. Or is it a completely non-value adding activity. This gives you control to remove tasks that add no value and change tasks to achieve your objectives. Have you ever wondered how a whole business strings together? Actually, it is the business processes that literally “string” the business together. Hence for this reason is it process improvement that achieves end-to-end business improvement. Unfortunately, numerous process improvement projects fail. The most common cause of this is that the Circle of Excellence or process improvement cycle is rarely followed through to the end. In fact a mighty forty five percent of failed projects simply stopped at documenting the current state processes. Hence the project never entered the analysis or improvement phase. As a result, the expected benefits were not realized. Process improvement is a cycle of iterative corrections made in the business. First of all these corrections can be in response to a business environment change or also an internal corporate direction change. Because such scenarios happen continuously, process improvement is a continuous activity that cycles through the business. In general terms, productivity is a ratio of output to input in the production of goods or services. Hence to improve productivity you need to produce the same output, by lowering the input such as manpower, cost, energy etc. We cannot control business competition, but we can control our costs. For this reason, organizations are always searching for ways to reduce cost. Hence organizations seek to improve productivity to reduce cost. Fortunately, a lot of productivity improvement strategies are available to help. These strategies increase productivity by increasing output and lowering cost as well. Creating process maps defines the start, steps within, and end of a process. It provides transparency of the organization and how it operates. Hence it is this transparency that presents the opportunity for process analysis. This analysis identifies costs and delays and removing these delivers the ability to improve productivity. These are the processes that form the core business. In particular, the processes that create the product or make up the services the organization delivers to the end client. The International Organization for Standardisation (ISO) has set forth standard rules and regulations for organizations to follow. Hence, ISO Compliance is the adherence to these rules and regulations. For business, ISO is a set of strategic tool and guidelines. It assists organizations address challenges in today’s business environment. Being compliant to ISO represents that your organization is operating as efficient and productive as possible. In addition, it represents that the produced products or services are safe, of quality and that these are also good for the environment. Also, ISO compliance enhances the ability to access new markets due to its international recognition. To achieve ISO compliance, part of the journey is the documenting of business processes. To then improve these to cut costs and achieving customer satisfaction. The PRIME BPM Suite is the tool that you can depend on to gain ISO Compliance. Firstly, with PRIME’s Process Compliance and Audit functionality you can document the compliance due dates, ISO audit dates, and notify the concerned person of an upcoming compliance event. An organization consists of a number of interlinked business processes. Most processes are intangible hence we are unable to clearly see them. To see how the organization operates or how it is in fact “strung together”. Process transparency refers to the ability to look inside. The “look inside” provides an in-depth and clear visibility into the business processes and how these operate. Process transparency has a number of benefits. Firstly, knowing in detail how the organization operates facilitates better decision-making. Make accurate business decisions, based on business data that is readily available. As a result, decisions are fact based, not assumption based. Hence, make decisions such as investment decisions for business improvements with more certainty. Secondly, with process transparency, process problems are easily identifiable. An end-to-end view of a process enables an Analyst to easily pin point the process problem. In addition, the process information and details of the process problem are easily shared with others and discussed for resolution. Hence, a collaborative approach to identify the right improvement decision. As a result, advise stakeholders early of the up coming process changes and the reason for the change. PRIME BPM enables you to document and centrally store all your process information. Does your customer experience the same brand and brand experience when interacting with your staff at different geographical locations? Process standardisation ensures that your customer has the same experience with your company regardless through which channel or through which location the customer interacts with your organization. PRIME gives you the ability to perform process comparison by a click of a button. Here you can compare different processes side by side to identify the differences. Say for example you want to compare the HR recruitment process in the UK with the same process in the USA. You can quickly compare those two separate processes and in addition, you can compare the information associated with each process such as process efficiency, process cost etc. You can quickly see the gap, identify which process is more efficient and investigate if there is any valid reason to do the same process differently. Knowledge management is the process of creating, sharing and retaining organizational knowledge and information. The management of knowledge is the concern of almost every Manager. Questions arise such as where is information created? Where is it stored? Is it accessible by all who need it? There are two main causes for this concern. Today, more knowledge workers are in the workforce than ever before. Hence the value of information and the risk of losing it are higher. Secondly, there are more people exiting the organization than before. This is due to an aging workforce and due to gen Y and the millennials. Compare to any other generation, generation Y and millennia’s have a higher job-hopping rate. Both points increase the frequency of organizational exits and the risk of knowledge loss. Record this information to easily share and retain it. Hence resulting in better knowledge management. If you don’t take care of your customers somebody else will – A common saying. A customer does not only buy a product, the customer assumes customer service is also part of the purchase price. In addition, customer retention is key, as it is very costly to continually source new customers. 89% of consumers stopped doing business with an organization after bad customer service. As it is very costly to continually source new customers, customer retention is key. Therefore, to retain customers, you must make a lasting impression on your customer. The key to good customer service lies in establishing up to date process documentation. This process documentation must also be accessible by all and show the interaction between information systems and processes. The days are gone where developing a cost reduction strategy was as simple as cutting down the budget. Furthermore even randomly trimming expenditures across the board is not accepted nowadays. Therefore today we need to identify long-term saving opportunities and achieve sustained cost reduction. Documenting and analysing business processes can achieve sustained cost reduction. Create an end-to-end current-state business process for each process in the organisation. Subsequently, dig into the lower level views to identify the associated process expenses. Once the documentation is complete, analysing and improving the processes achieves sustainable cost reduction. Process Value Analysis is a method to analyse the value of each of the tasks. That is, first of all understand if the task contributes value directly to the customer. Secondly, analyse if the task adds value to the business. Finally, analyse to identify the processes that do not add value at all. Process Time Analysis is a method to analyse if time is well spent. Time analysis measures two components. Firs of all, the total execution time of the process, and secondly the delay time in the process. Many organizations underestimate the value of a RACI matrix as a tool to clarify roles and responsibilities. A RACI matrix, sometimes referred to as a RACI chart, lists out the “RACI” against each task of the process and/or the business process. An alternative view of a RACI matrix is that the “RACI” is against a person’s name or job role. Subsequently listing the tasks associated with the person/job role listed beside. List the role name of the person responsible for doing the task in a process. List the role name of the person accountable for a business process. List the role name of the person with whom you must consult for input for proposed changes in a process. List the role name of the person who must stay informed about planned or unplanned changes in a process. Organisations simply cannot ignore the terms ‘efficiency’ and ‘effectiveness’ whilst practicing Process Excellence. For increasing productivity as well as improving customer service, both of these are essential. Effectiveness of a process is the measure of how relevant the output is to the desired objective. A truly effective process will make customers happy by providing everything right. That is, the right results at the right place time and cost. Hence, measure process effectiveness from the customers’ goal point of view. Process efficiency, on the other hand, acts as a vital factor in determining productivity. It is a measurable concept. Essentially it is the ratio of ‘useful output to total input’. Hence it requires resource optimization (mainly cost and time) along with maximum waste reduction. To understand process efficiency we need to measure process time, cost and effort needs. The business environment is changing so fast! To stay competitive, or even just to survive, organizations are regularly undertaking business transformation. Business transformation is a holistic approach – an activity that affects the whole organization. Such activities may be business process outsourcing, the implementation of enterprise software or mergers and acquisitions. Further more, these activities rarely come one at a time or only once. Hence change in the organization has become a part of daily life. Reach the maximum value of business process transformation by transforming the business strategy, business function and business processes. It does sound easy, as there are only three points to address. However, this is the helicopter view and we all know that the devil lies in the detail. When peeling back the first layer of these three elements, we find that achieving success depends on the alignment of people, processes and technology against the corporate goals. Understand these in depth to align these. Furthermore, share this information. Share this to select the right transformation activity and to communicate the impact of the change to the wider organization. Operational Excellence refers to the controlling of the organizations’ operations to drive business growth. Hence focusing on gaining Process Efficiency, the creation of customer value and growing the business are three components that achieve operational excellence. To achieve operational excellence, firstly the organization must define what substantiates each of these 3 components to the organization. That is, clearly define what the organization considers process efficiency, value for the customer and business growth. Subsequently design a deployment plan. That is, what are the actions we will take to meet the strategic plan? The crux of achieving operational excellence lies in two components. That is, firstly to have people in place with the right attitude, mindset, and the right competencies. These people must be in place to lead the process excellence initiative both as part of the process excellence team and on the business as usual operational floor. Secondly the design of business processes. The operational processes must be well designed and efficient in aid of delivering best-in-class products and services. These best-in-class products and services must add add value to the customer. 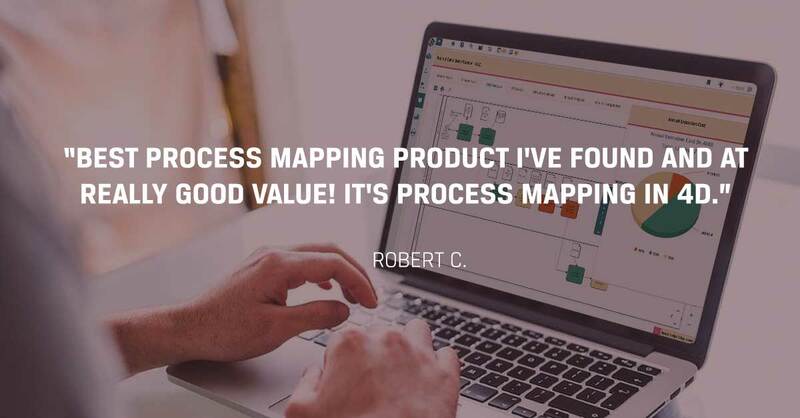 PRIME Modeller is an intuitive business process-mapping tool with an integrated process repository for all your process maps and process information. Create a catalogue of processes that represent your organisation and gain visibility into. PRIME Analyser is a quantitative analytics engine built into PRIME. Analyse your business processes and identify process issues, record the root causes and the improvement opportunities. Keep abreast of compliance and audit requirements; perform cost. PRIME Improver is the full-featured PRIME edition. 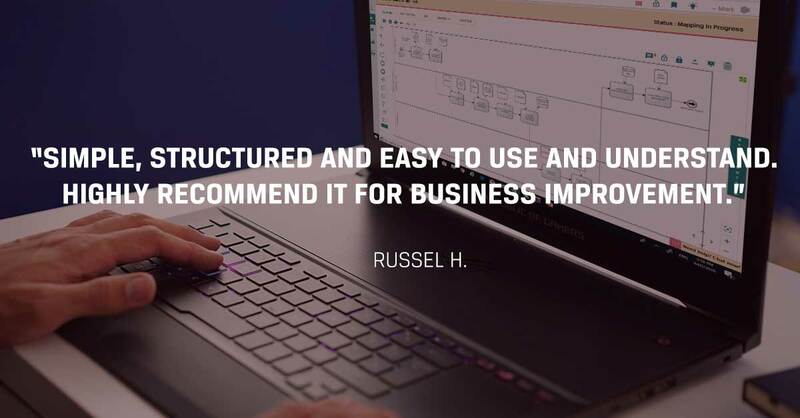 With inbuilt APQC best practice process libraries, process mapping functionality, mapping rules and guidelines, process analyser and process simulation engine it offers an end to end Business Process Management. Use a readymade APQC best practice process library to kick start your initiative or use it as a gap anaysis. Easy drag and drop functionality to create your process library – your hierarchy of business processes. Simply assign high level process properties from the drop down menus. Identify which processes require urgent attention based on the prioritisation score. Create value chains to document and analyse end to end business processes. 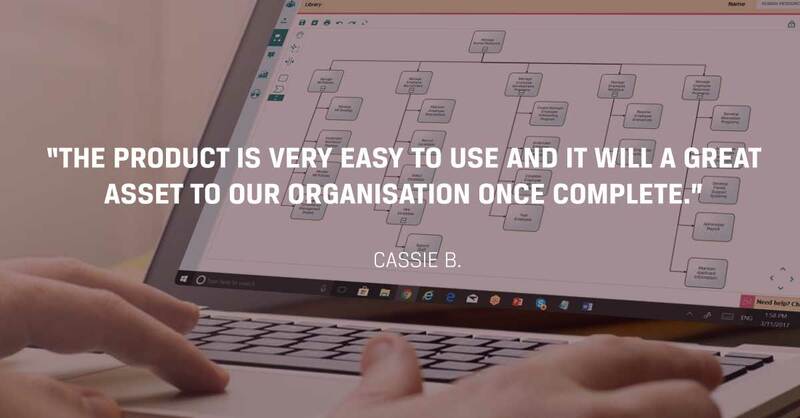 Use the globally recognised language and latest version of Business Process Modelling Notation (BPMN) to map your processes. Assign roles from the prepopulated Roles Repository to the lanes in your process map to define which tasks are performed by which role. Assign Systems from the prepopulated System Repository to the tasks in your process map to define the systems used as part of a task. Assign Documents from the prepopulated Document Repository to the tasks in your process map to define the documents used as part of a task. Link documents in the process map to the original document in your Document Management System (DMS) or Share point. Use the inbuilt process mapping guidelines to create accurate and consistent process maps. Ensure only one person at a time edits the process map with the map locking functionality. Every version of the process is recorded, detailing the relevant changes made and identity of the person who made the changes. Capture business rules and assign these against the process. Capture KPI details, including the KPI rational and the performance range against the process. Capture role names against tasks indicating which role is Responsible, Accountable and which role is to be Consulted and Informed in relation to task changes. Capture compliance details with due dates and person responsible to achieve compliance. Capture the type of task (Business Value Add, Customer Value Add, Non Value Add) and time taken to perform the task. Against each task capture step-by-step work instructions including screen shots. Understand the percentage value provided by each process to the business and customer. Also understand the percentage of non-value added activities performed by each process. Understand how many hours annually are spent performing business, customer and non-value added activities. Understand the annual cost incurred to perform business, customer and non-value added activities. Understand and compare your process efficiency with the industry efficiency benchmark. Compare a new version of the process with the old version to understand the changes made and benefits realised. Simulate processes to understand the impact and benefits of each solution before committing to the change. Track the creation and implementation of improvements. See the percentage completion per improvement and check its status: completed, in progress, rejected or approved. Send all improvement ideas for approval prior to initiating the work. Create work packages and tasks to be completed against each approved improvement. Assign improvement tasks to users. Track tasks and work package status to understand the progress of percentage completion.